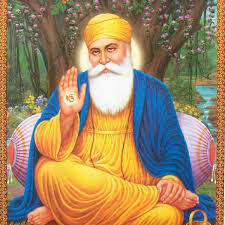 According to the lunar calendar, the birthday of Guru Nanak Dev Ji-the first Guru of the Sikhs is celebrated on a full moon night after Diwali. This year, the scared day falls on the 23th of November. Guru Nanak founded Sikhism which is one of the most recent religions mankind has seen. Sikhism’s ideals are free from bias, superstitions and societal dogmas. God is One: In his own words, Guru Nanak Dev Ji said “I am neither Hindu nor Muslim, I am a follower of God”, which actually spoke about his belief in one God. In Sikhism, the god is omnipresent, shapeless, timeless, and sightless. (Nirankar, akar, alakh). No Discrimination: Guru Nanak Dev ji was strongly against all artificially created divisions and all discrimination, both in word and deed. He said that the caste is based on deeds. More so like what you sow, so shall you reap, the actions decide the true worth of a man! Renunciation: Guru Nanak Dev Ji asked his followers to shun five evils of Ego, Anger, Greed, Attachment and Lust. They lead to illusion (maya) which eventually acts as roadblock towards attainment of salvation. In today’s times, these five evils or bad habits as we may term them prevent us from attaining our true self which is capable of miraculous feats otherwise. The Importance of Guru: Guru Nanak Dev ji laid great emphasis on having the importance of Guru in one’s life. He preached that salvation occurs not from pilgrimage, superstitions or rites, but through heart, spirit and soul. In other words, to attain knowledge, you seek a Guru, likewise to show humans the right path and to attain righteousness, one must seek the voice of God by reading the Holy Scripture. In a nutshell, reading is what uplifts your soul! Seva is the Key to Humanity: Guru Nanak believed in helping the needy so much so that he often spent his allowance for the poor. He propagated, “help the needy and you shall be helped by the almighty in your times of crisis”. Never hesitate to help others and welcome them in your company. Friends, family become one in our nuclear times only with some warm efforts and an attitude towards Sewa. One must do Sewa/community service at the place of worship too. Guru Nanak stressed that in times of stress or joy, it is the ‘one-eternal God’ or your own beliefs that you trust, shunning all other notions. This Gurupurab, let us all ponder over his teaching and find a way to imbibe them in our lives. Take out time, read some books or stories about leading life with joy for your little ones. Don’t forget to tell us which book you read with them. ** This article has been written by Guneet Kaur. 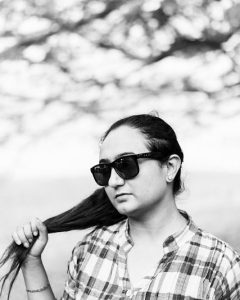 Guneet Kaur is an over-enthusiastic Mother to her son. A writer, storyteller, drama-teacher and Montessori advocate. She loves to be around children and that is where she gets cues to spin micro tales, in and around her natural settings. She loves to keep on adding books to her son’s enviable library. She lives by the mantra, “Normal is Boring”.